Moze’s mech might be more customizable than you think. 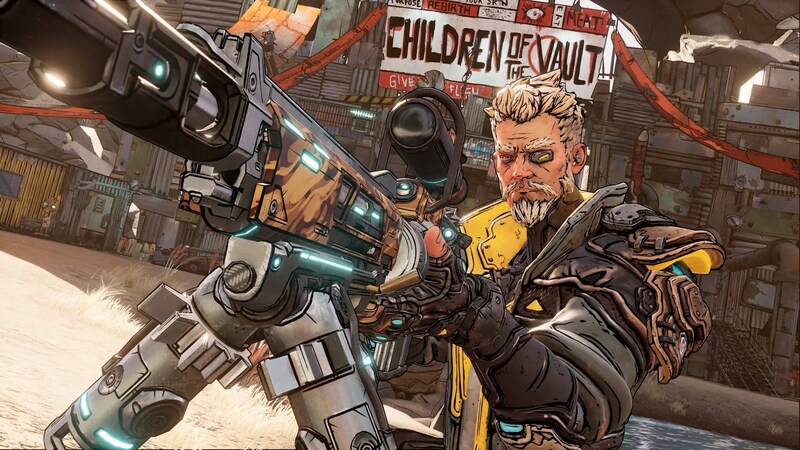 Borderlands 3 was recently announced after much teasing, which had led huge anticipation. While we haven’t gotten a lot of details outside the trailer and what’s in the multiple editions, the trailer does seem to give us some hints as to what to expect from one of the new vault hunters- Moze. We saw in the announcement trailer that Moze comes with a bit of backup in the form of a mech, but an eagle-eyed poster on the game’s official Reddit shows that there may be some customization there. At various points it looks like the robot has claws, miniguns, flamethrowers, grenade launchers, as well as mixtures of the above. Nothing official yet, so whether or not this ties into the character’s skill trees or is a separate thing just for Moze is anyone’s guess. We’ll just have to see when the game launches September 13th on PlayStation 4, Xbox One, and PC (as a timed Epic Games Store exclusive). Until then, you can revisit where the series started with Borderlands: Game of the Year Edition, available now on the same platforms.